In an increasingly digital world, why shouldn’t investors have access to their own personal wealth management software? 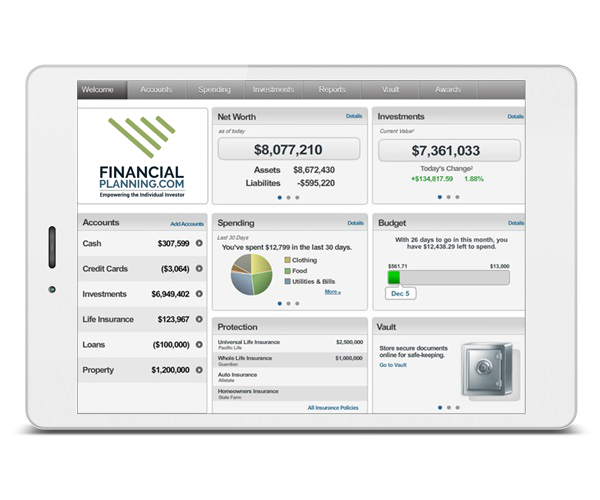 Organize your financial life by accessing your very own secure, digital Financial Website. You’ll have access to your personal financial website from wherever you are and on any device you choose. Our service provides access to eMoney Advisor’s award-winning financial planning software, account aggregation and resources to prepare your secure financial future. eMoney Advisor is owned by Fidelity Investments.